The one you have been waiting for has finally hit the market! Stunning and hard to find ONE story in River Bend with a THREE car garage with recently painted garage floors!! 4 bedrooms/ 2.5 baths plus an office and formal dining!! Pride of ownership abounds in this Meritage beauty! Home has a split floor plan that gives you the privacy you want without the stairs that you don’t! Gorgeous kitchen with Stainless steel appliances, gas range and ample prep space! Kitchen opens up to your breakfast dining area and an expansive living room making it perfect for entertaining larger crowds! Living room has a gas fireplace and a view out to the cozy covered patio with slate flooring in the backyard. There is room for a lap pool in the backyard! Home is zoned to award winning schools and within walking distance to the Elementary school as well as the splash pad! Never Flooded! 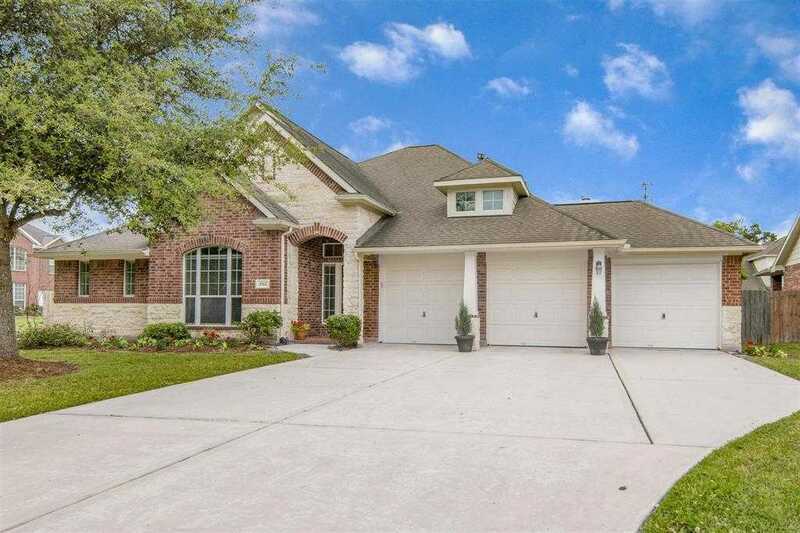 Please, send me more information on this property: MLS# 85740574 – $344,000 – 5911 Rustling River Drive, Kingwood, TX 77345. I would like to schedule a showing appointment for this property: MLS# 85740574 – $344,000 – 5911 Rustling River Drive, Kingwood, TX 77345.